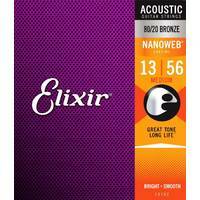 Engineered to meet the demands of acoustic musicians worldwide, these concert quality strings provide deep, rich bass notes with clear bright trebles. 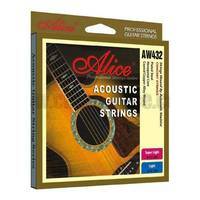 Engineered to meet the demands of acoustic musicians worldwide, these concert quality strings provide deep, rich bass notes with clear bright trebles. 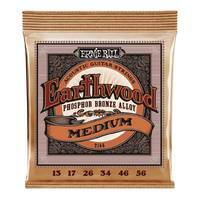 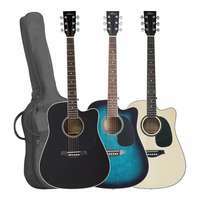 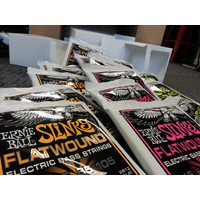 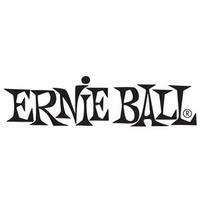 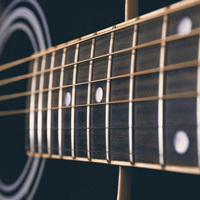 Ernie Ball Earthwood Bronze Alloy acoustic guitar strings are played by The Counting Crows, The Edge, and Maroon 5 amongst many other touring musicians. 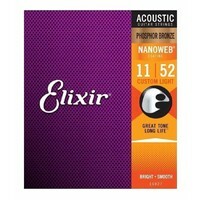 Extra Light Gauge .010" - .050"
The Extra Light gauge is a lighter string that the most popular Light gauge strings used for acoustic guitars. 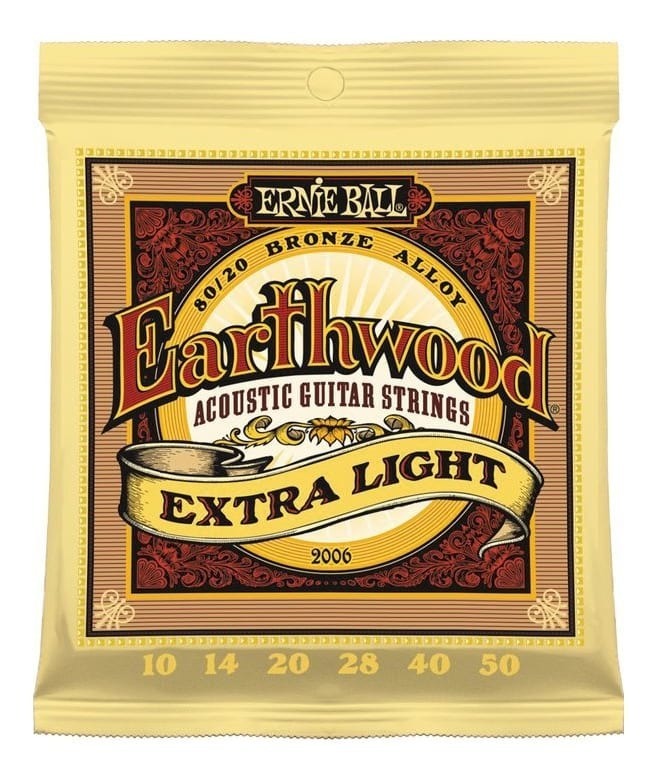 The Bronze Alloy Acoustic Earthwood strings are made from 80% copper and 20% Zinc wire wrapped around tin-plated, hex-shaped steel core wire. 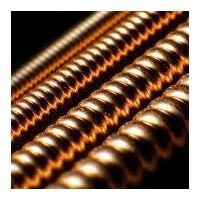 They have a light orange, gold colour and provide a crisp ringing sound with excellent clarity and pleasing overtones.